In brief, vertigo means that you feel the outside environment is in a spin. “Almost as if you are dizzy,” that is how vertigo sufferers define the feeling. The disease is attributed to issues in the inner ear or even the brain. These could include infections, inflammations, tumors, sclerosis, or trauma. Other causes might also include a migraine, neck injuries, diabetic complications, as well as restricted flow of blood to the brain base. In advanced cases, the same can be attributed to Meniere’s disease. 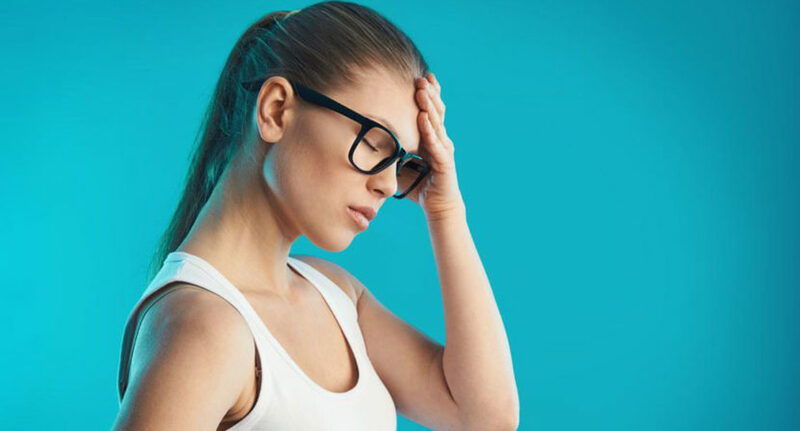 The most common feeling involved in vertigo is to feel disoriented, but this could be accompanied by sweating, vomiting, nausea, and abnormal movements of the eye. The diagnosis of vertigo is made with the aid of physical examinations, detailed scans, and a thorough analysis of all medical history. Now when it comes to vertigo treatment, there are a bunch of options. These include medicines, home remedies, as well as therapy maneuvers. Prognosis for vertigo is much dependant on what the cause for the same is. All self-limiting instances of vertigo can be controlled using all the methods involved. The differentiating factor of vertigo and dizziness is that the former comes with a sort of illusory movement. In case the patient feels movement, the type of vertigo is subjective vertigo, while in case he/she feels that everything else around is also moving, it is called objective vertigo. Vertigo is symptomatic of some other issues but is not itself contagious in any way. The most commonly prevalent form of vertigo is benign paroxysmal positional vertigo or BPPV. In this, vertigo lasts for few seconds to minutes. It could come about as a result of head movement of sudden nature or even directional movement of the head. This type is easily treatable and is not much worrisome. Vertigo could also be caused due to labyrinthitis or even vestibular neuritis. These are inner ear infections and could even cause hearing issues if not treated. Symptoms in such cases can be seen for few days until the point the inflammation goes off. There are several viruses that could cause labyrinthitis or the vestibular neuritis issues, such as measles, rubella, polio, mumps, influenza, hepatitis, or even the Epstein-Barr virus. Vertigo is also prevalent is Meniere’s disease but is found along with tinnitus and loss of hearing. This disorder causes such symptoms to appear intermittently and sometimes no symptom can be seen at all. Home therapy could be an effective vertigo treatment when you are very sure about being diagnosed with vertigo. This should also be initiated once the medical practitioner is available for supervision and guidance. In case the doctor gives the green, you might try these treatments to find some relief from the symptoms. Epley maneuver – A modified version of the maneuver is a kind of therapy that sees an involvement of body and the head while you sit on the bed. This is usually conducted at the clinic or under medical supervision at your home. This is a quick vertigo treatment method and can be done at home to cure symptoms as fast as seven days. You could also take Vitamin D supplements as a vertigo treatment option. This is especially effective for patients who are diagnosed with benign paroxysmal positional vertigo. The doctor could check for Vitamin D deficiency. Some opine that herbal remedies are effective as a vertigo treatment. Popularly, coriander, ginger root, and ginkgo biloba are choices that have historically helped relieve symptoms. Do note, that before taking any of these, have a word with your doctor so that these do not interfere with any ongoing medicines if any. As an alternative therapy option, you could try acupuncture. You could ideally not consume substances such as tobacco, alcohol, or even tobacco. The choice you make for vertigo treatment comes to force as per the main diagnosis. Vertigo is treatable with oral medications, patches, or even IV drugs. Specific case based treatments need curing of bacterial infections first. Sometimes, salt intake in diet needs to be checked while also keep diet in check on the whole. You could also go in for vestibular rehabilitation exercise. Particle repositioning maneuver is also a stone displacement treatment used to relieve vertigo issues. These must be taken under proper supervision, and you will also have to keep tab of probable side effects such as drowsiness. Therefore, you must avoid working or working once you take these medications.